It’s a common complaint for plumbing, HVAC, electrical, fire and security, and property management companies. Even worse, they often don’t know why: Only one out of 26 unhappy customers complain, according to research by customer strategy consulting firm thinkJar. The rest? They just leave. To find out why customers leave—since they won’t tell you themselves—we surveyed customers of field service businesses like yours, and supplemented their feedback with research, statistics, and reports created by other industry experts and customer service pros. Your engineers don’t fix the problem. The customer experience is inconsistent. Your mobile experience is sub-par. Let’s get into the details on each one of these complaints. Complaint #1. Your engineers don’t fix the problem. Over 75% of our survey respondents named this as one of their top three field service peeves. They call for service, and an engineer shows up, clatters some tools around, and leaves—but the customer still has a broken toilet, boiler, or alarm. Ever hear the expression ‘You had one job’? This is one of those cases where your customers would be uttering it. If you’re lucky, they’ll give you an opportunity to fix the job. Otherwise, they’ll call your competitor to get it done right. Complaint #2. Your engineers are late. This customer complaint ranked second in our survey, with nearly 45% of respondents griping about engineers who stroll through the door 15, 30, or even 60 minutes late. Even worse is when a customer takes time off of work to dutifully be at home between 1 and 4 pm, and your engineer shows up at 4:45. 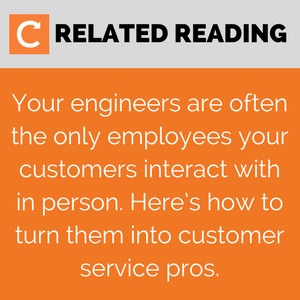 Engineers are on the front lines in terms of customer relationships. When they arrive late, customers see that as a reflection on your business as a whole. Complaint #3. The customer experience is inconsistent. Your staff loses a customer’s appointment history—but when they finally figure out what’s going on and schedule an appointment, the engineer they send turns out to be amazing. Your emails are on-point and professional while your social media messages are salesy and inappropriate. Your service vans are sparkling but the engineers who get out of them are scruffy. Complaint #4. Your mobile experience is sub-par. Picture this: Frozen pipes burst in a customer’s house at midnight—so the customer grabs their phone to look up your number because they remember what a great job you did the last time you came for a service call. But when they get to your website, slow-loading images and weird widgets make it impossible for the customer to find your number. So what do they do next? They Google ‘emergency plumber near me’ and call the first competitor (with a good mobile website) that pops up. According to a Smartling report on mobile statistics, 85% of online customers are not willing to forgive a company for a bad mobile experience, and will search online for competitors that will offer them a better one. Complaint #5. Your customers don’t trust you. 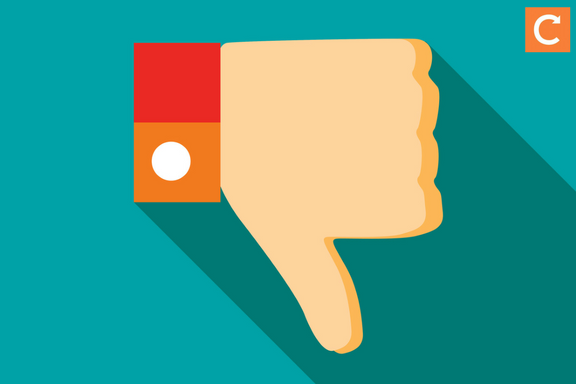 Researching online reviews of field service businesses, you’ll find that one of the top complaints is companies that say one thing and do another. For example, the office staff gives a price quote of £75 over the phone, and then the engineer fixes the problem in five minutes and demands £225. An HVAC company sells service contracts and is suddenly unavailable whenever a customer needs to actually schedule a service call. Or a plumbing company schedules an appointment for a customer and the engineer simply doesn’t show up. 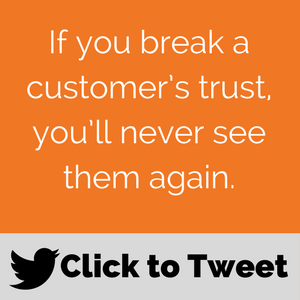 We probably don’t even need to say this, but here goes: If you break a customer’s trust, you’ll never see them again. We don’t like to complain about problems without also offering solutions. (A philosophy that works in all areas of business, actually.) Download our guide How to Solve Your 5 Biggest Customer Satisfaction Problems for the solutions now!